Lipgloss & Lashes: Lipgloss & Lashes Turns 3! Hello Beauties! Today is a bit of a special post for me, as this week marks my blogs third birthday. I don't normally use this blog as a channel to communicate my successes or to 'show off' but as it's now been an incredible three years, I wanted to take this opportunity to reflect on how far this little corner of the internet has come, and some of the great things that have happened as a result. When I was sat in my pokey little student flat three years ago trying hopelessly to create a blog with little to no knowledge, I never dreamed that I'd still be sat here (admittedly in a much nicer flat...although the bar was set pretty low!) three years later, still babbling on mindlessly about my love of beauty. Blogging has opened so many doors for me...from amazing career opportunities, to growing my confidence, but it's the community that comes with the blogging world that I really do value the most. Blogging has opened my eyes to a whole host of new takes on the beauty world and has taught me to be more adventurous, try new brands, and openly discuss my opinion...no matter how controversial, knowing that all of you lovely lot have my back 100% of the way. I've met some of the nicest girls and boys through blogging (you know who you are!) and for that I really can't thank you enough. Your continued support over the past three years has allowed me to grow Lipgloss & Lashes into something I can be proud of. You'll never truly know how much your support has meant to me. I started this blog from during an incredibly dark time in my life when I really thought there was no light at the end of the tunnel, my world had completely been turned upside down and to say the universe was testing me would be an understatement...blogging offered me an outlet and a chance to escape all of the terrible things happening to me at the time and I can honestly say that without my blog I would not be the woman I am today. So I just wanted to pop on here to say a big thank you to all of my readers, loyal commenters, twitter and instagram supporters and all around good eggs - here's to another wonderful three years! Happy 3rd Birthday! It's amazing how far blogging has come in just that short space of time! 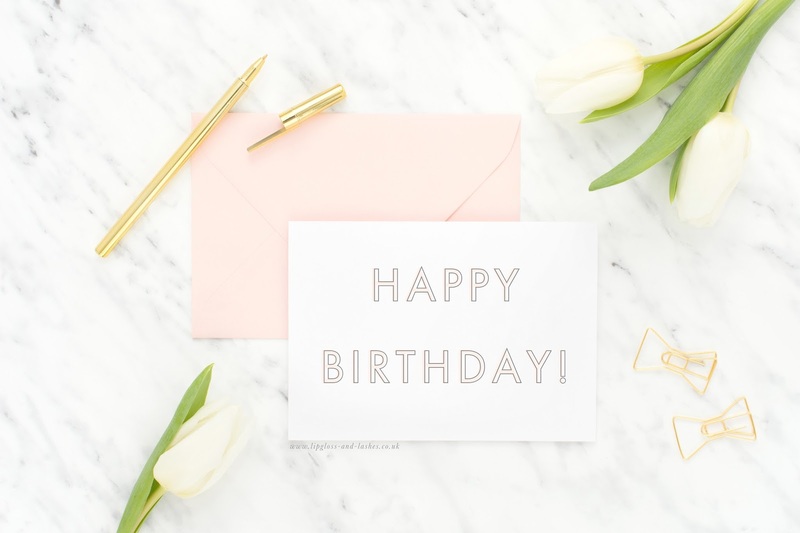 I can honestly say I have NEVER celebrated a blog birthday, as I'm not actually sure when I started taking blogging seriously enough, maybe I should go back and check! The community it certainly one of the main reasons I keep blogging, I wouldn't not want to be a part of it! Happy blog birthday and isn't it fun looking back at your blog and how much it grows. Hope you have more success with it too.